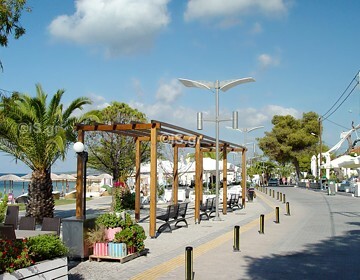 The beautiful village of Nikiti is the main center of Halkidiki's Sithonia municipality. It is positioned at the beginning of the Sithonian peninsula and is a relatively short distance from Thessaloniki (90km). This is an ideal location for anyone wishing to explore the magic of Sithonia. 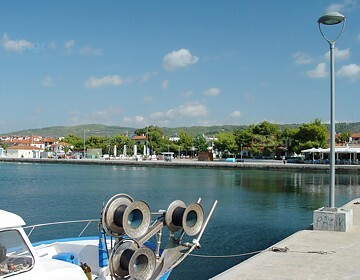 On one side of Nikiti, at the beginning of the beach, stands the Church of St Theodore, whereas on the other side is the marina where small sailing boats are docked. The marina is an ideal place to take an afternoon stroll. Walking along the alleys and cobbled paths in the old village you can admire the listed homes dating back to 1830, the church of St Nikita and the old school. Don’t miss your chance to try the famed, traditional “ravani” (semolina cake) of Nikiti. If you wish, you may also buy marvelous honey directly from local producers at outdoor stands or in shops. 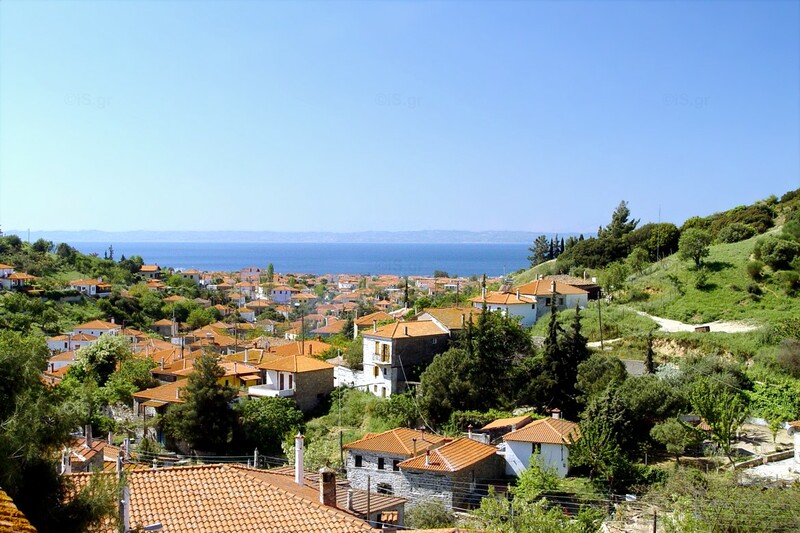 If you love mountains, you will be tempted to take a stroll on beautiful Mount Itamos, a protected nature area with abundant with flora and fauna. It is ideal for hiking and cycling excursions with its well-marked forest roads and numerous road signs. From a variety of spots you can marvel at the breathtaking views, from the Toroneos Gulf to the peninsula of Agion Oros with the magnificent Mount Athos towering above. A little known beach located 2km away from Nikiti, positioned between Nikiti and and Ai Yiannis, Kastri Beach is made up of 2 small bays which extend to the cape of Kastri with its small distinctive island. It is easy to get to by car once you find the narrow road leading to the beach. In the absence of established services, you will need to bring your own sun shade and lounger as well as any other necessities. 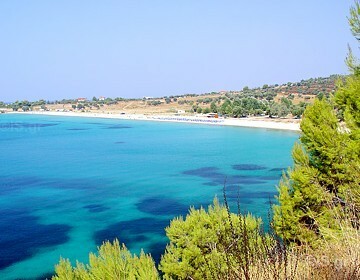 This beach is long and wide and is situated near Koviou Beach. It is easy to reach by car and provides unlimited parking. It is best known for its velvet sandy beach, crystal-clear water and plethora of olive trees which extend all the way down to the shoreline. Numerous beach bars and restaurants lining the length of the beach cater to visitors. An exquisite little bay surrounded by rocks and pine trees, with clear aquamarine waters and fine white sand. 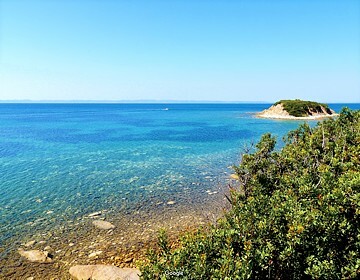 It is one of Halkidiki's most beautiful beaches, located 5km away from Nikiti. Its aquamarine waters are shallow and remain at a cool, refreshing temperature for most of the year. The sea is generally calm and still, even in windy weather. The fine, velvety sand is ideal for endless hours of sunbathing. Yet another of Halkidi’s marvelous beaches, known for its velvety white sand, it is 5km away from Nikiti and easily reached by car. The main beach area to the north is arranged with sun loungers and a beach bar. 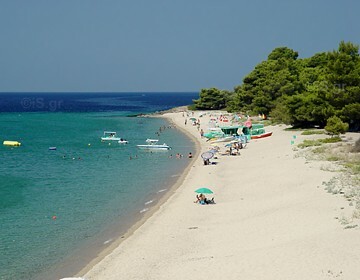 A beach of outstanding natural beauty with pine trees that literally reach almost up to the shoreline, this is a well-established beach providing many comforts, which earn it a Blue Flag each year. 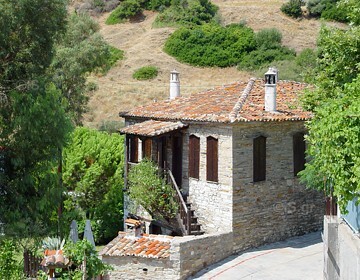 It is 13km from Nikiti, near Neos Marmaras and easy to reach by car.